Let's explore four new types of tech trends that are changing the ways students learn. 3D printers have been a curious concept. They offer the ability to print new items using only the instructions given to a computer. When coupled with the right program, these printers are allowing students to make amazing science projects, inspiring pieces of art and everything between. Rather than forcing students to learn by concepts alone, this provides a tactile type of learning that tends to stick with students. Virtual reality has been able to act as a tool instrumental to closing the gaps of learning. It can keep the attention of students, teach in more timely ways and allow students to learn in a way that aligns with the learning material. The best part about virtual reality is that it expands what students can learn. Realistic VR simulations have the potential to teach students how to perform precise medical procedures, for example, without putting a patient at risk or requiring a cadaver. Online courses have enabled students around the world to complete coursework. The online nature of these programs allows for flexible coursework, which in turn helps to make the program mesh with students whom have busy lives. The best part about this is that programs like an online course for a master's of higher education enable students to acquire an accredited degree from a well-known university. This technological innovation allows for students to acquire a degree that they may be unable to otherwise. Technology is integral in not only implementing new methods of learning but also in improving existing methods. The Watson Discovery Advisor is a unique tool that utilizes machine learning to provide researchers with advice on what data they should process. 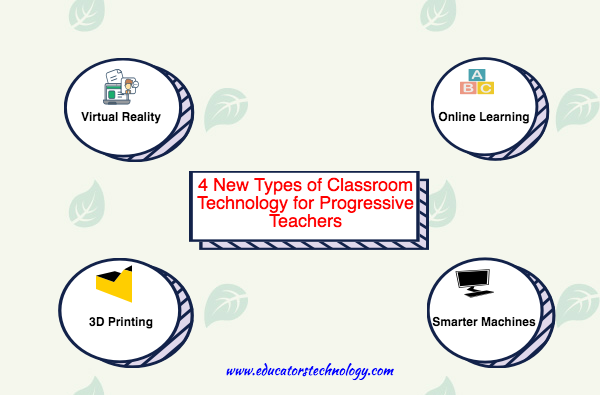 Similar tools exist for classrooms. These tools are designed to improve one-on-one learning with students or to offer suggestions to a teacher's teaching methods. This result is that students are able to learn with less difficulty. Challenges like autism spectrum disorder can be overcome with these unique and personalized teaching techniques driven by machine learning. The most important thing to understand about technology and education is that it improves it in ways that may not be readily apparent. Technologies like virtual reality offer a close substitute to the real thing, which in turn drives student engagement and fosters new learning opportunities. As technology improves, so too should the ability for students to learn and teachers to teach. Time will tell what other innovations emerge to improve education. By Anica Oaks. Anica is a freelance writer and web enthusiast. Read some of my published work on my Google+ page.